Earlier this year I had the pleasure of introducing you to the unique and daring designs of Divine Savages. It’s come as no surprise that their design journey has rocketed since then with their designs being showcased at some pretty amazing events. One of which I attended at 100% Design where I got to meet Tom and Jamie aka Divine Savages and they happen to be the most genuinely loveliest people you could ever meet. I really couldn’t let their new collections and design updates go unnoticed. 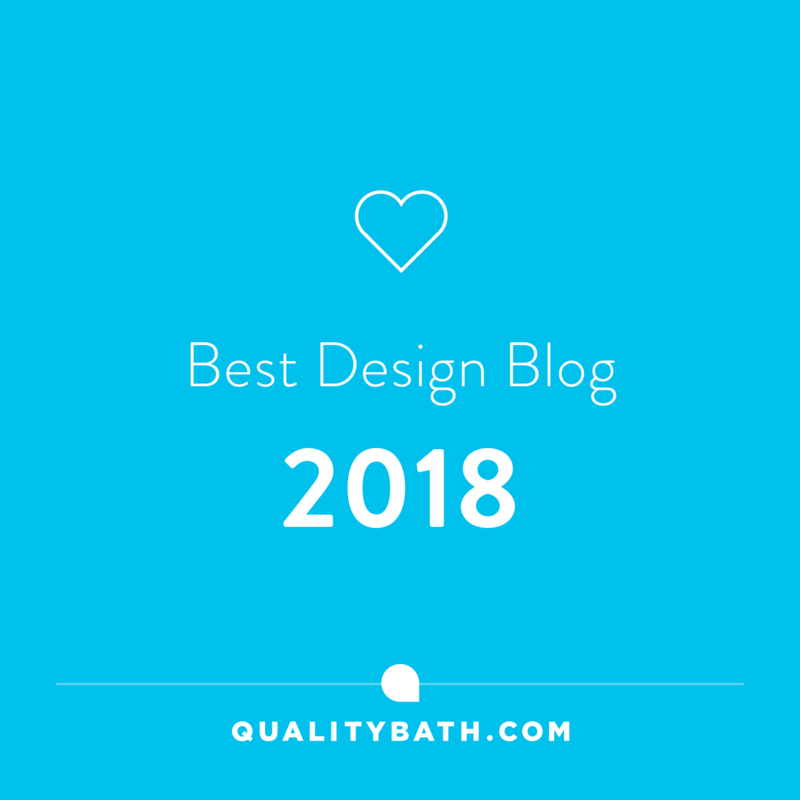 Especially as some of you may be on the hunt for some inspiration for your homes or a special Christmas treat for the interior lover in your life. Of course, that person could just well be yourself and I say why not. There was no doubt that Divine Savages and their collaboration with the lovely Emma from Light Up North took 100% Design by storm. 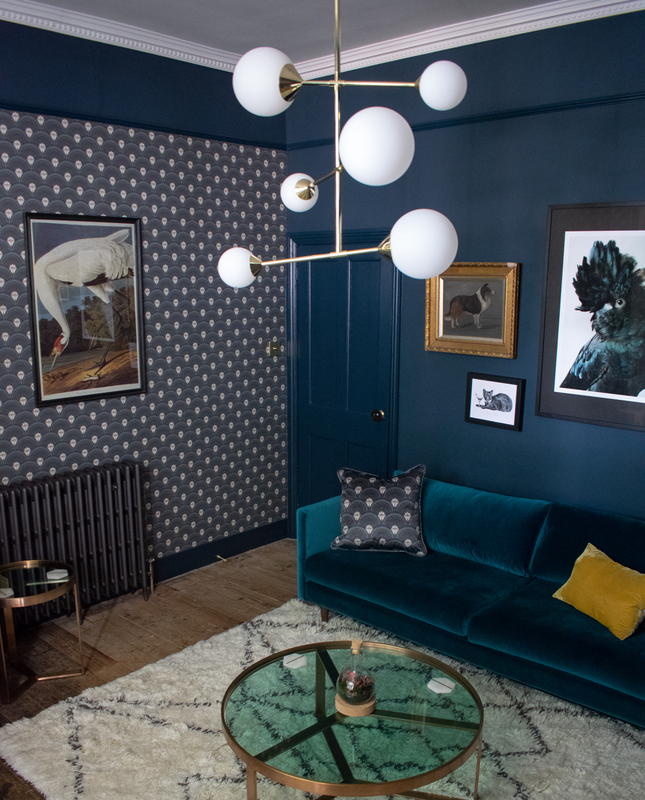 Standing out from the crowd with their delicious array of colour and pattern clash as well as fusing styles to create a maximalist’s ideal of heaven. 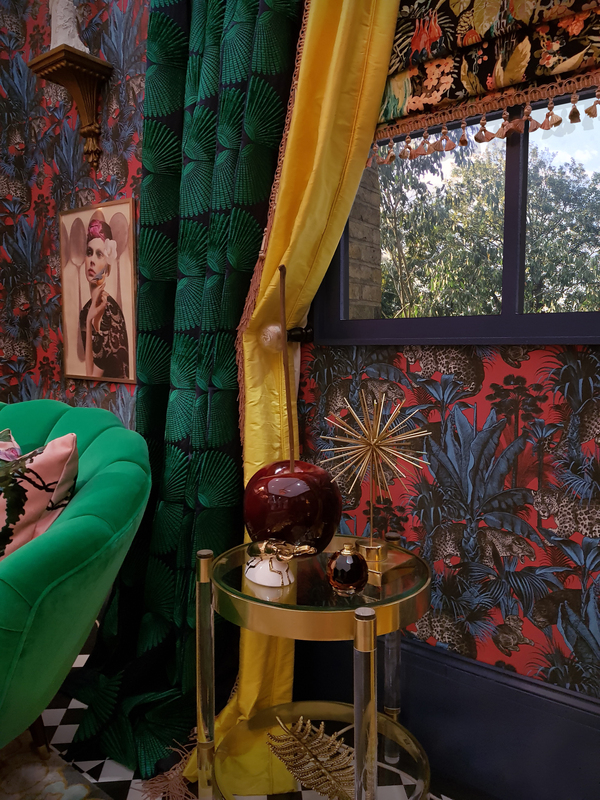 Grand Designs Live creating a Maximalist masterpiece design-room wrapped in their signature Faunacation wallpaper. 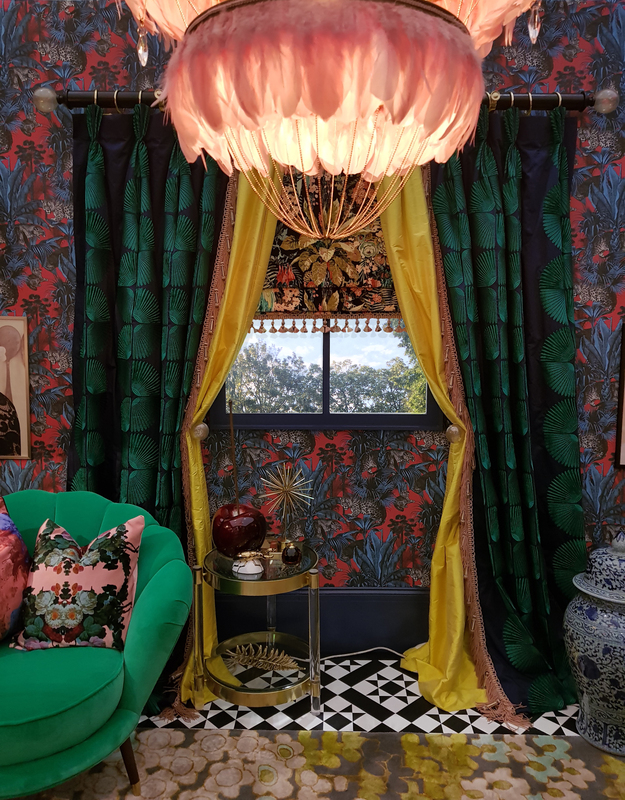 They were shortlisted as a finalist at this year’s Spotted Awards where they collaborated with Oliver Thomas from BBC’s Great Interior Design Challenge at Grand Designs Live creating a Maximalist masterpiece design-room wrapped in their signature Faunacation wallpaper. Divine Savages also featured in this year’s Eporta X WGSN Interiors Trend Report, which highlights the year’s must-have interior trends. Of course, you don’t have to embrace maximalism to appreciate Divine Savages designs either. 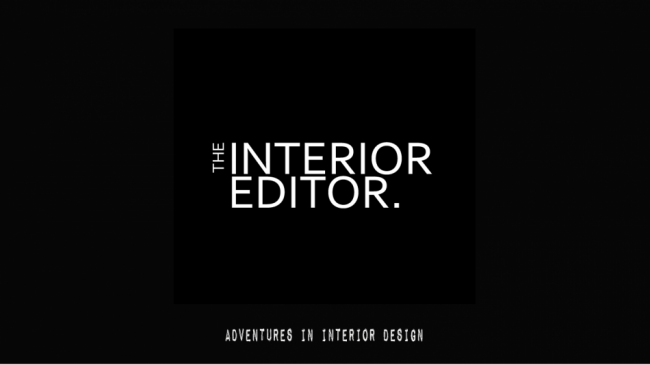 If you’re ‘a less is more’ kind of person, preferring to let a design speak for itself and create interest, then you’re also in the right place today. 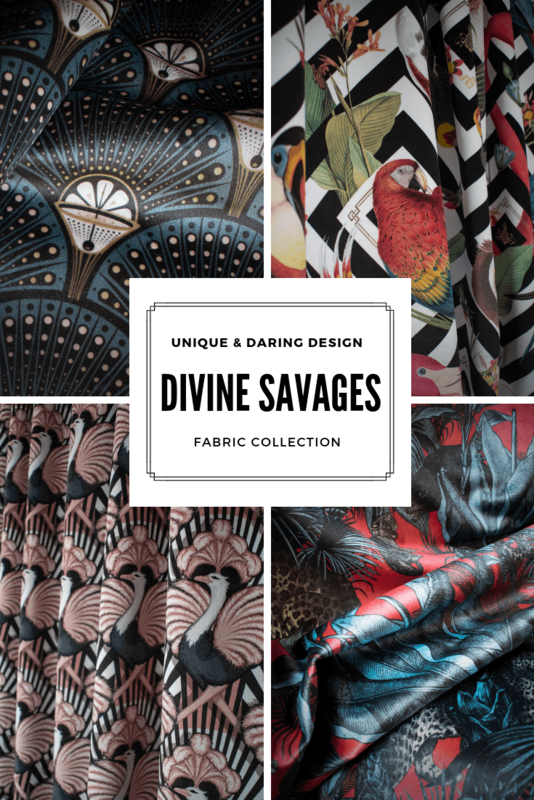 Divine Savages goal is the same to get you to embrace colour and pattern in your homes and they’re certainly succeeding with their design journey as one of the best online boutiques to turn to when it comes to decorating our homes. If you’re wanting to add a bit of refined elegance combined with nature then look no further than Divine Savages Crane Fonda. 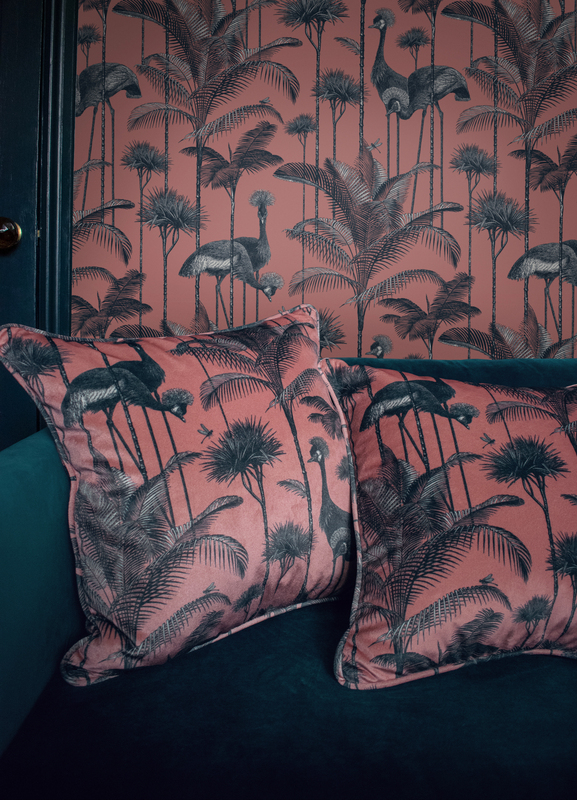 It’s a fabulous elegant design featuring their Grey Crowned Crane who looks right at home amongst lush palm trees. Available as wallpaper in three gorgeous colourways for your walls, a limited edition print or why not opt for her in a lush velvet cushion. 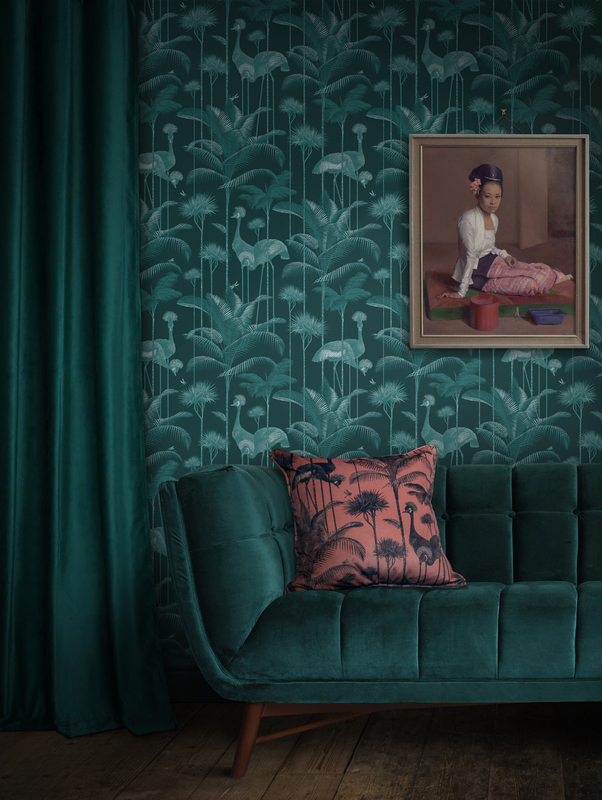 If you can’t decide which to go for why not opt for the wallpaper and cushion combining the very on-trend Coral pink and Emerald green for your spaces. They’ll make for a luxurious look and feel a room. I’ve had my eye on this particular design since Divine Savages introduced her a few months ago. She’s snazzy and flirty and a great alternative to your flamingo. Zsa Zsa is the perfect showgirl adding a bit of glamour to your homes. 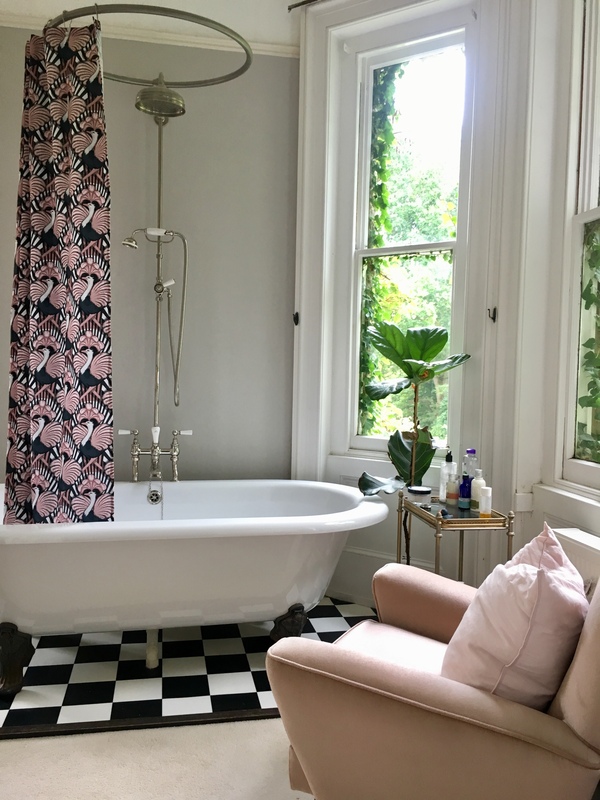 Try adding Hollywood glamour to your bathrooms with Divine Savage’s new shower curtains or why not add a velvety lush cushion to your boudoir. I love how Zsa Zsa conjures up images of the Golden Age of Hollywood. These glorious ostrich showgirls display their beautiful candy pink feathers as they dance across a background of bold stripes with a nod to Art Deco era. It’s a print that adds excitement, interest and colour to your home. Be bold, be daring – be Zsa Zsa. Crystal Wings is one of Divine Savages very latest designs and being a lover of butterflies, I’ve totally fallen head over heels for it. 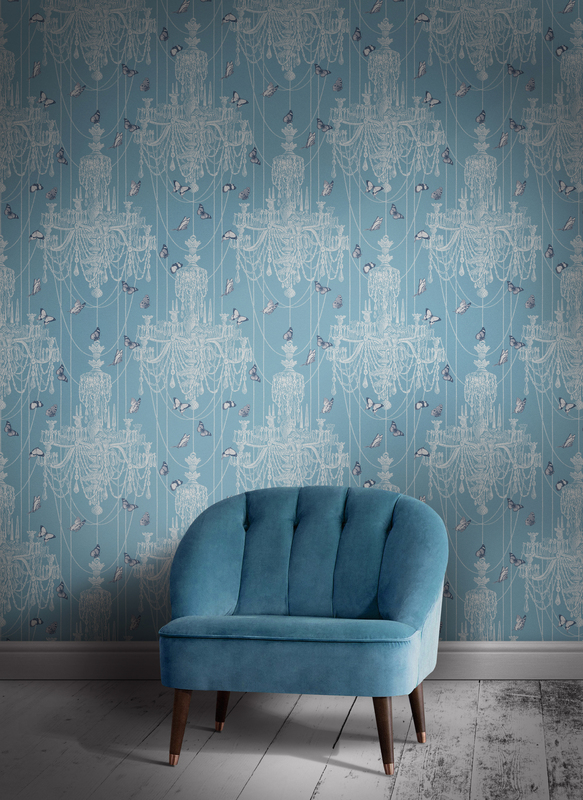 It’s a whimsical design of stunning butterflies and ornate vintage chandeliers to bring glamour and curiosity to your walls. 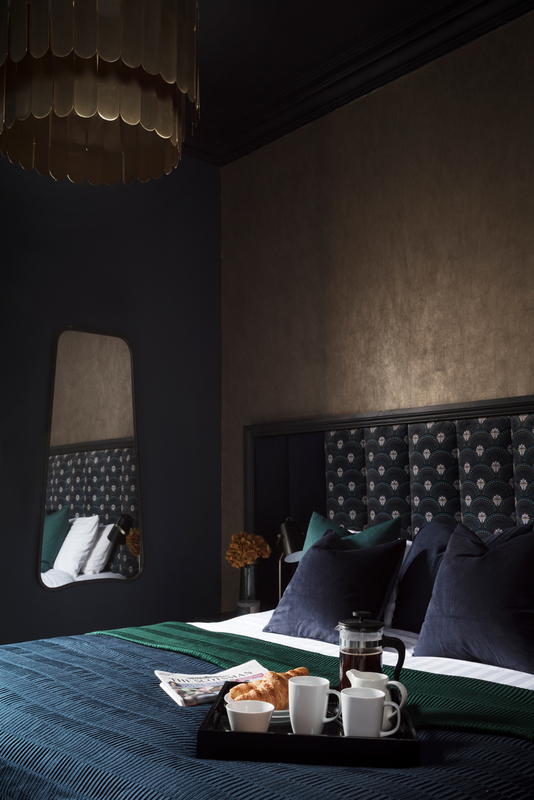 With a delicate palette influenced by Wedgewood Blue, its Divine Savages fresh take on a classic style bringing you a contemporary way to bring timeless tradition into your home. 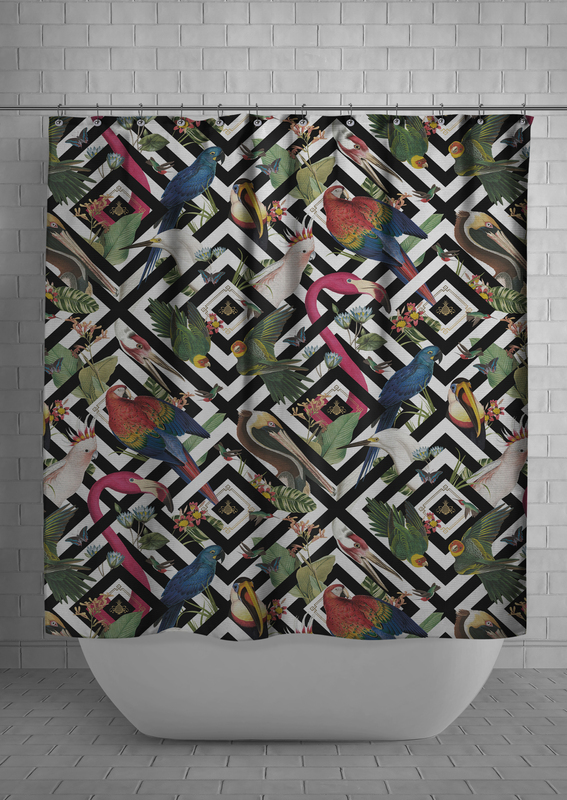 Geometric Aviary forms one of Divine Savage’s classic collections and they’ve introduced this bold colour and daring design to other homeware elements such as their new shower curtain range and cushions. Or why not dress up your table and create a statement with their placemats. 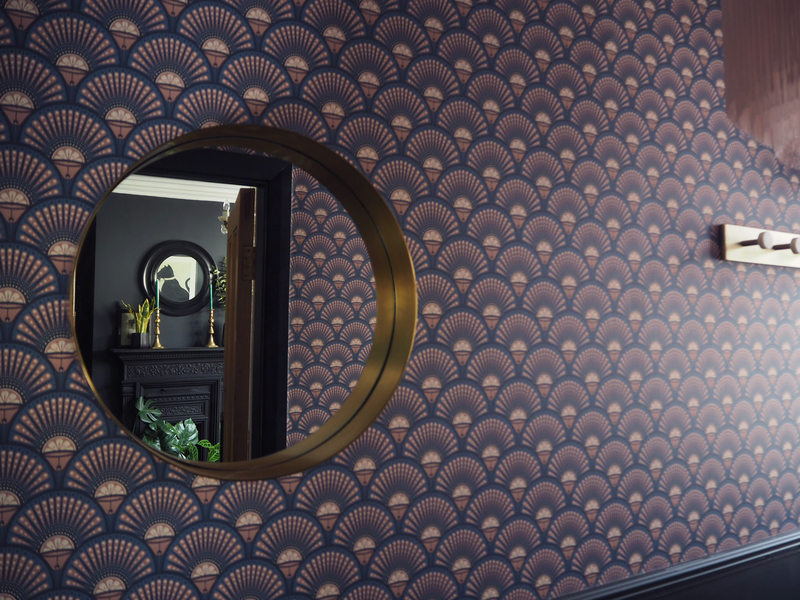 If you’re struggling to commit to adorning your walls with the wallpaper then this is an easier way to add some drama to your bathrooms. And as most of you, may have tiled walls a shower curtain is a great way to inject some personality to a bathroom/shower space. You’ll be singing your hearts out in the shower and with good reason too! 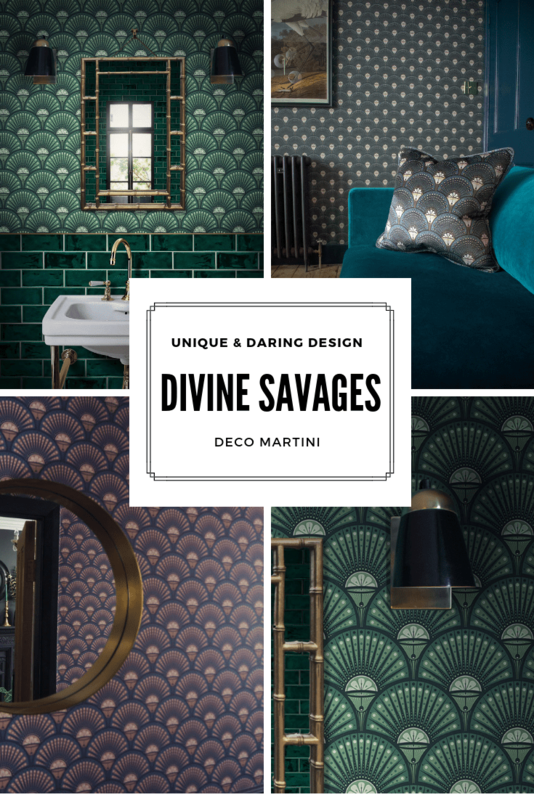 Another favourite of mine is Divine Savages Deco Martini. Inspired by the Roaring Twenties and the decadent tastemakers of the jazz age. 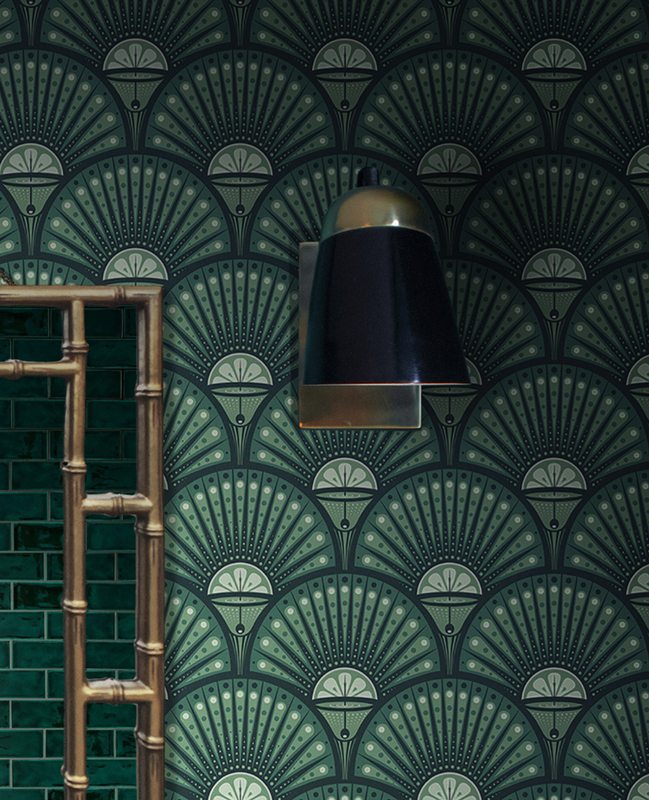 It’s a bold graphic print that brings art deco opulence to your homes. And I’m thrilled by their new Arsenic green colourway. It makes me want to sell up and buy a period property right now just so I can don my walls with it. Okay, that might not happen for a while but a girl can dream can’t she. So instead I’m now plotting where I can convince the hubs to put it although I’ll have to tread carefully as he’s up to his eyes decorating our bedroom. 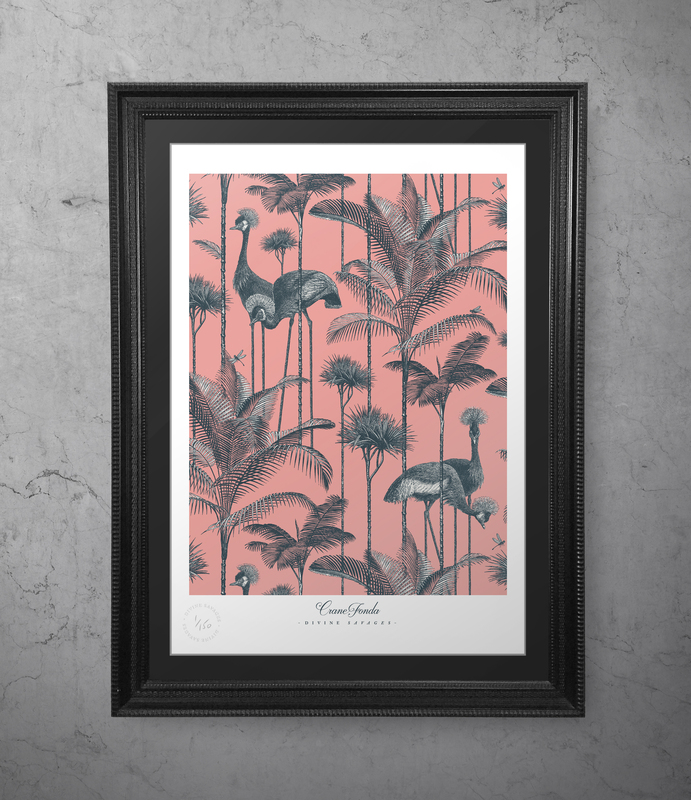 The Deco Martini Blush colourway adds a softer feminine touch to your walls. And if Divine Savages new designs were not enough of a temptation in themselves, they’ve only gone and upped the stakes by adding fabric to their repertoire. So if you want to get that beloved chair reupholstered you might want to check out their new range of fabrics in your favourite designs. Or perhaps you have got a loved one that has a special project that they’ve put off and could do with some help with. Half the battle when choosing to reupholster a piece for your home is finding the perfect fabric. 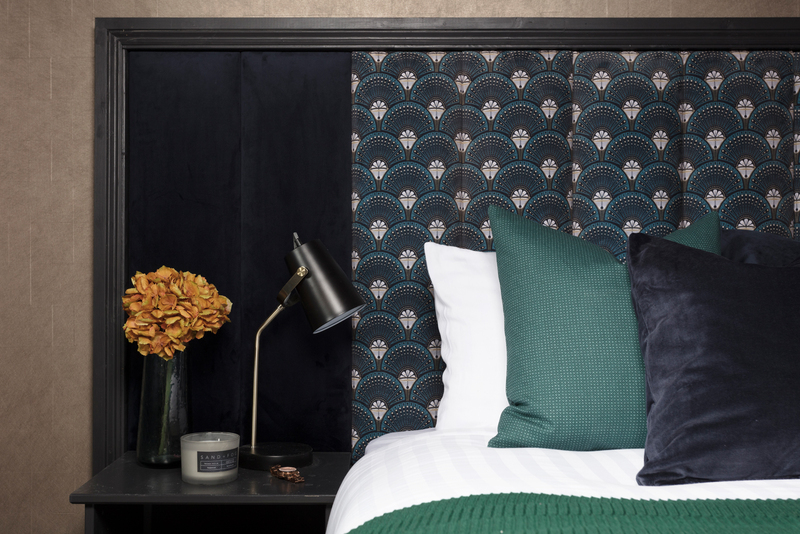 Make a statement in the bedroom and create a unique Divine upholstered headboard to draw the eye to what is ultimately the focal point to any bedroom. 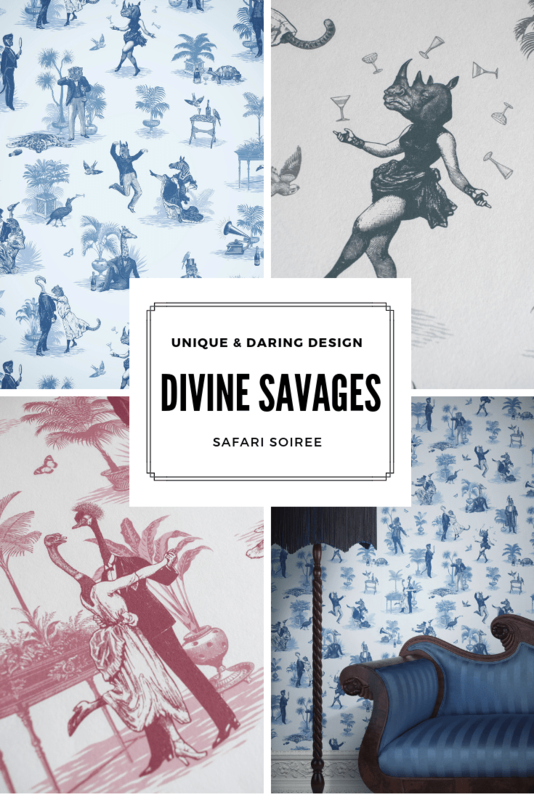 As Divine Savages continues to grow their collections expect to see designs such as this fun Safari Soiree (coming soon.) It reminds me of Toiles that were popular during the 17th-18th Century. 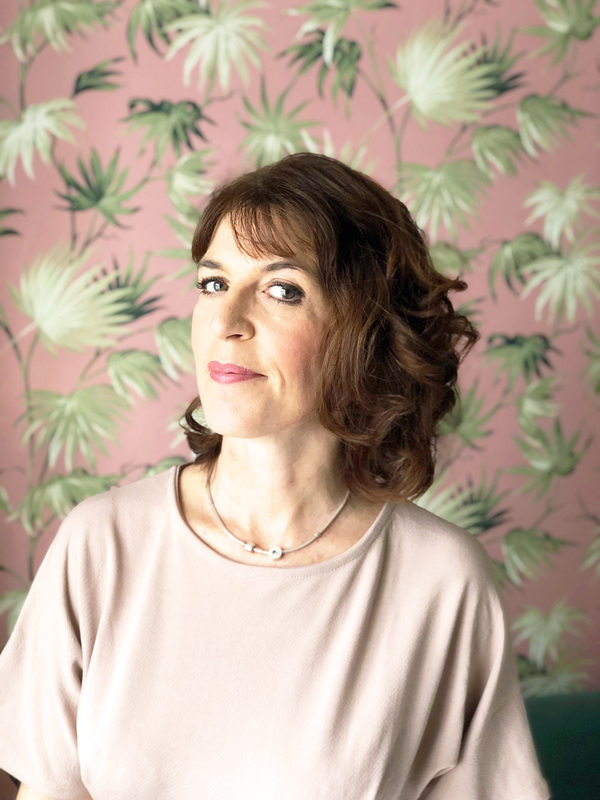 If you’re not familiar with the origins of Toiles, they originated from the pre-revolutionary and post-industrial France in the 1770’s in a town outside of Paris called Jouy, hence the name Toile de Jouy. The factory at Jouy created more than 30,000 designs in its day. 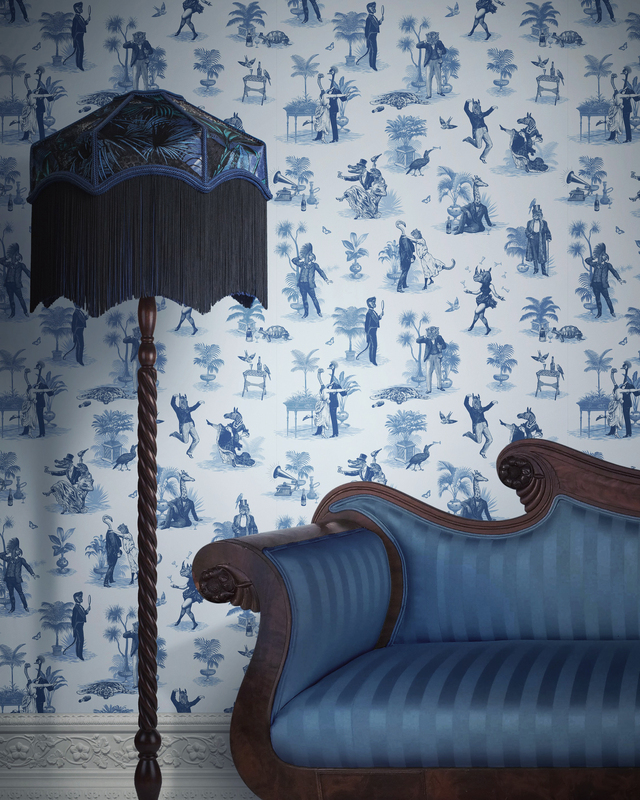 Toile de Jouy literally translates as cloth from Jouy. Toiles were a way of depicting what was currently happening in any given city, or event in the world. Typically as a single colour print of a pastoral scene on a white background. This Safari Soiree is such a fun design to behold don’t you think? You may want to sign up to Divine Savage’s newsletter to keep up to date to see when this design hits their shop. So what do we think? 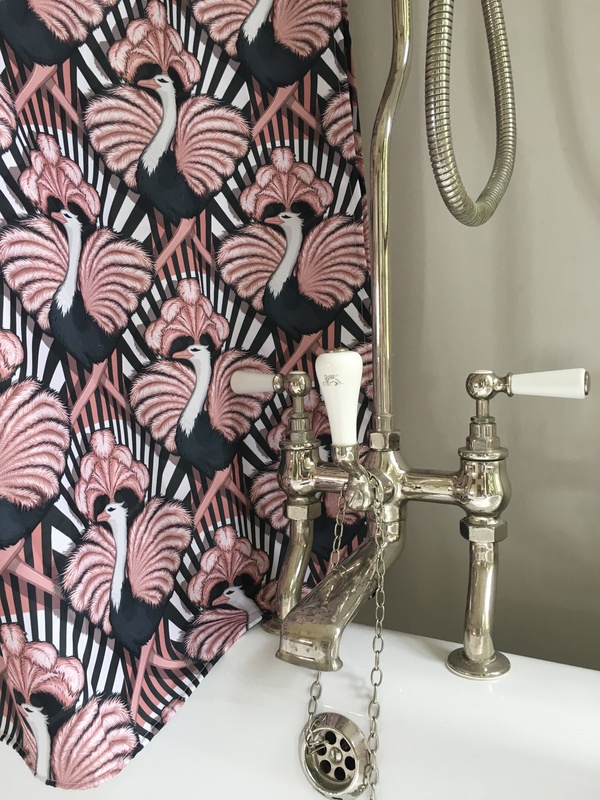 Have you fallen in love with Divine Savage’s new collections or are we tempted to add some colour and pattern to your bathrooms with one of their new shower curtains? It’d be great to hear from you. 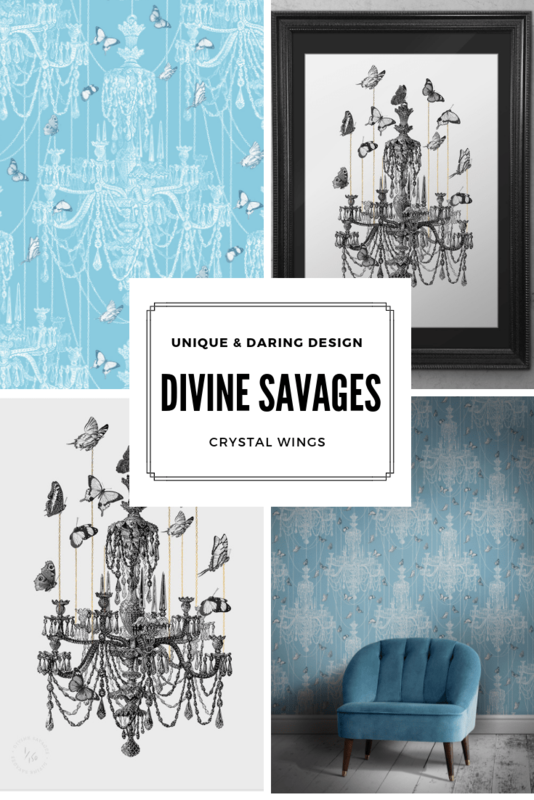 I adore that you can interpret Divine Savages designs to suit your style and home. 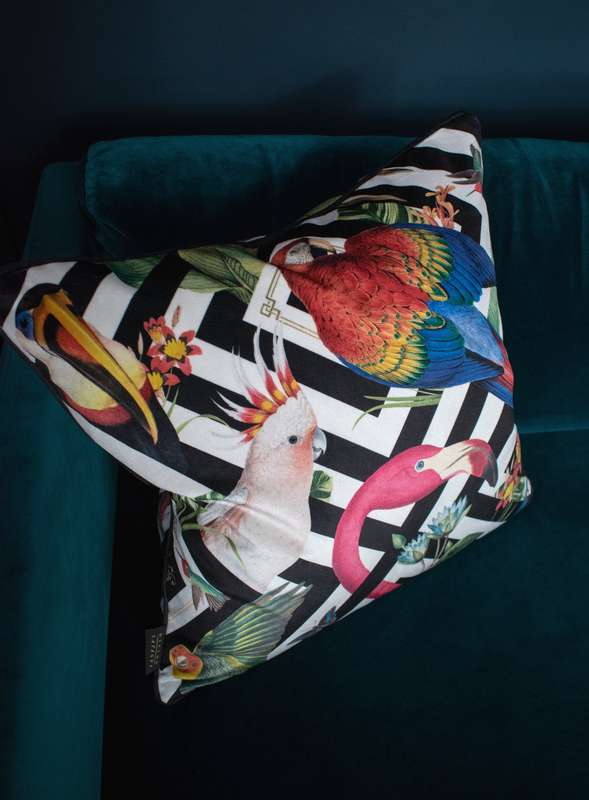 Whether you’re daring and brave enough to go maximalist or to introduce interest with their range of lighting, soft furnishings in the form of cushions and/or fabrics or to introduce a favourite limited edition print design to a gallery wall. There really is something for everyone.